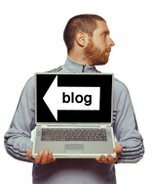 I used to have a 'news page' on the site... it progressively became more and more bloggy until I eventually conceded that it was a blog after all and moved it all over here instead. But as it's become more of a blog it means that when I post something more newsy I feel like I'm being remiss... like I should find something else to spice it up. But there isn't anything really... just some news. But it is good news. Polaroid have decided to stop making the film for their instant cameras. I hesitate to write this entry. I have no intention of maintaining a campaign-y type of blog... but every now and then you hear a story that just needs wider coverage. I'm sure there are many. Here's one. About four years ago a British man called Andy Weller married a Thai woman called Aranya. They had a daughter called Jemima. 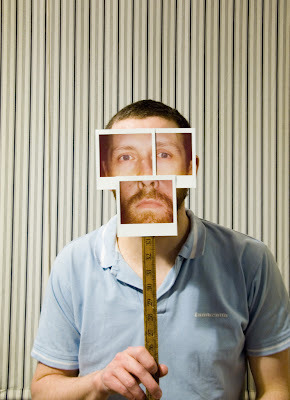 Andy was teaching in Bangkok but was intending to return to the UK to complete his degree studies and take up a new teaching post at a school in Reigate. The couple wanted their daughter - a British citizen - to be raised and schooled in the UK where her grandparents and uncles could play a more significant role in her upbringing. Plans were in place to move here in September 2008. But unfortunately in November last year Andy had a heart attack and passed away. He was only 31 years old. His daughter, Jemima is 2. It is almost impossible to calculate the effect such an untimely death has on a family. Andy's wife and child are obviously devastated as are his parents and brothers. Andy's parents flew to Bangkok to help deal with the formalities following their son's death. They returned with Aranya, Jemima and their son's ashes. Aranya is currently in the UK on a 6-month visitors visa. It expires on June 1st 2008. On January 9th they submitted a visa application requesting that Aranya be allowed to stay for a further 2 years. It seems entirely understandable to me that, having lost a son in such tragic circumstances they do not want to have their grand-daughter and daughter-in-law taken from them also. Jemima is a British citizen and I would have thought she had a natural right to remain here. Of course nobody would suggest that a mother and child should be separated under these circumstances and so if Aranya is denied the right to stay then effectively so is Jemima. And that's what seems to have happened. The Home Office have declined the visa request on the basis that there is a lack of "compelling or compassionate grounds." This I don't understand. Indeed, further tearing this family apart when they are still reeling with the grief of such a significant loss seems to be so lacking in compassion as to be mind-boggling. The Home Secretary, Jacqui Smith, has the right - if she chooses - to overturn any immigration decision. Nobody involved has breached any immigration rules. It is simply a case of a close and loving family, already torn apart by grief, seeking to stay together and help each other through a horrible situation. If you're minded to do so you might want to write to the Home Secretary and/or the family's local MP Crispin Blunt. The Rt Hon. Jacqui Smith, M.P. by Mrs Aranya Weller (née Chantajit). educated and raised in the UK. decision made by the Home Office. If you're so inclined, I think it would help if you were to write also. I took part in a recording of Radio 4's Banter last night. 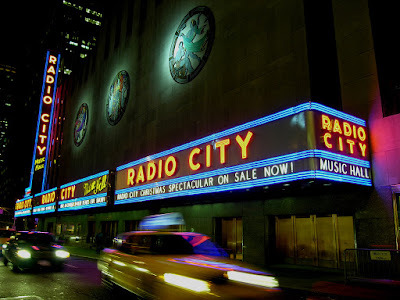 It was recorded at The Drill Hall in London which anyone who has been will tell you is every bit as glamorous and exciting as New York's Radio City Music Hall. I think it was the first thing of its ilk that I'd done in ages. I must have done far less other shows in 2007 than I normally do. I have to if I'm writing a book. Normally when I'm writing I start each day by re-writing the stuff I wrote the day before. I find it helps to keep the tone consistent, gets me back into the right frame of mind by the time I start writing new words and helps me to pick up a few silly mistakes made through tiredness the day before. But if I take a day off I have to go further back and instead of spending the morning picking through the last day's work I end up spending a day revising the last couple of days. If I'm forced to take a week off I virtually have to go back to the beginning. I end up getting far more done in five uninterrupted days than I do in ten days spread over, say, a month. Which is why I said no to almost everything else last year - including lots of things I'd normally say yes to. 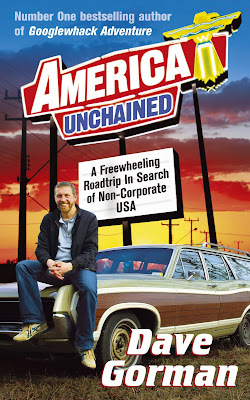 I reckon with Annually Retentive, the editing of America Unchained, Genius on the wireless and the one-off tellybox episode I had more than enough distractions from the writing as it was. Once Genius was out of the way in November I basically went into hibernation and committed every day to writing full time. I was amazed by how productive I got. It was strangely manic and exciting to do but also strangely debilitating at the same time. In six weeks I don't think I travelled more than half a mile from my front door which is just odd. So now I feel like a pit-pony blinking as it emerges into sunlight for the first time in ages as I try to remember how the world works when it isn't just me, a computer and the sound of typing. With the film going out last Tuesday and the DVD being released today I eased my way back in by promoting the film hither and thither but Banter was the first show that I was doing purely for its own sake. It's hosted by Andrew Collins and last night's panellists were Richard Herring, Russel Howard, Dillie Keane and myself. I was feeling rusty beforehand and was slightly regretting saying yes to something where I thought I might be found out as the underprepared fool that I was but when it came to it the show was great fun and far more to do with conversation than with prepared material. Which is as it should be given the name, Banter. They probably record about 90 minutes worth of material during each show with an hour of it being far too scurrilous (or downright rude) for broadcast. They're recording four more shows and I'd recommend it as a cheap (free) night out if you're down London way. You can get tickets from the inappropriately named tvrecordings.com who should have thought about the fact that it wasn't just TV when they started. In other news, I saw a finished book cover today. Always an exciting moment and it's a nice way to be reminded that the hard graft involved in writing 120,000 words isn't in vain. It's real and in April it'll be out there... looking like this. 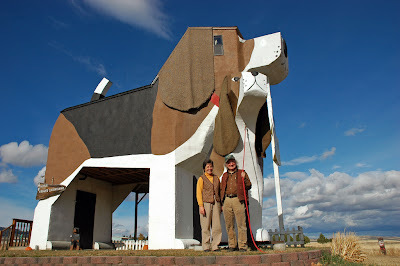 This is a picture of Frances and Dennis and their giant beagle shaped Bed & Breakfast. 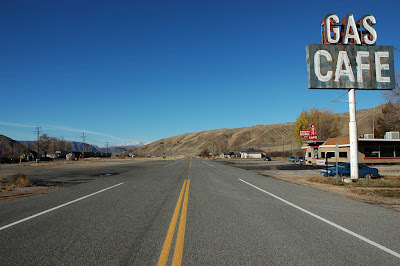 It's in Cottonwood, Idaho and in the unlikely event that you ever find yourself in that part of the world, I can recommend you stay there. They're in the documentary that airs tomorrow night on More 4. I've been really surprised by the amount of press coverage the film has received. And flattered too. Documentaries aren't exactly the most written about of genres and More 4 - brilliant as it is - isn't exactly the most written about channel so when you've got a documentary on More 4 you don't exactly expect a blitz of press. But there's been far more than I expected. On Saturday the Times made it the cover of their TV coverage and had this feature written by the Reverend Billy, which I thought was a novel way of approaching it. 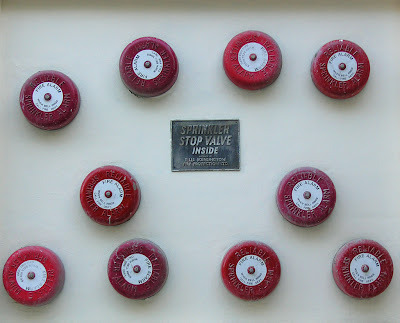 The Independent on Sunday gave it the cover of their TV coverage also and the Daily Mail's Weeekend magazine gave it a prominent preview and four stars saying, "Is it possible to drive across the US without staying at a chain hotel, eating at a chain restaurant or refuelling at a chain gas station? 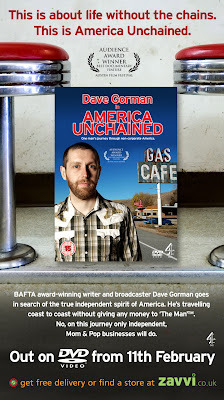 We won't spoil Dave Gorman's film by saying. 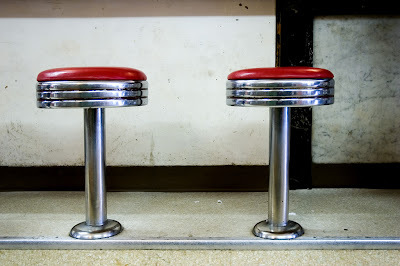 His route follows its own peculiar logic, free from the carefully choreographed quirkiness that would be present in a more thoroughly researched travelogue, and this produces some real moments of magic - especially the closing 'mom and pop' soda fountain store, and a beagle shaped hotel which is in a class of its own. At one point Gorman rather loses it when his director is forced to drop out with a bad back, marooning him in a dead-end town. Towards the end it gets a touch repetitive - but the sense of adventure, warmth and Gorman's charm makes it work." The Scotsman was nice too. Mind you, the Daily Record seem to think I'm a Scotsman. Which I'm not. Still, at least he liked the film. I'll be popping in to The Geoff Show on Virgin Radio tonight, The Wright Stuff on Channel 5 Tuesday morning and Richard and Judy on Tuesday also. And just to prove that I do leave the house for other reasons I'm taking part in an episode of Radio 4's Banter on Sunday. It's recoded at The Drill Hall in central London and if you want to get hold of some free tickets to come along you can get them here. But all this aside, there are two huge honours being bestowed on the film that no one could ever have predicted. Apparently, the people of Britain are going to celebrate the screening by devoting the whole day to eating that most American of foodstuffs: the pancake. Thanks guys. That's a pretty amazing gesture. I won't forget it. In America things have gone even crazier. The film isn't even being screened on US TV and yet the media over there have dubbed the day 'Super Tuesday!' How nice is that? I mean documentaries aren't exactly the most written about of genres and More 4 - brilliant as it is - isn't exactly the most written about channel so when you've got a documentary on More 4 you don't expect the country the film is about to declare the day of the UK broadcast to be especially super. Enjoy your pancakes. Have a super Tuesday. I hope you like the doc.